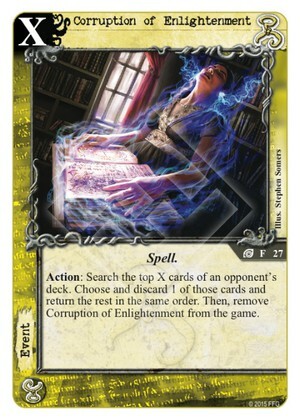 This card might be a useful addition to a Hastur mill deck. I like the art better than the game function of the card, though. I don't think this card is very usable. To get any real use out of it, you need to pay at least 3, and there are so many more helpful ways to spend 3 resources. If you could recycle CoE, that might be something, but that might be OP.